Because Jesus died and rose again, He will also come again as He promised. He will come in the air with all the souls and spirits of those who, through the years, have died in Christ, those who have gone home to be with Christ - absent from the body and present with the Lord - in soul and spirit form. Jesus will come in the air with these redeemed souls. This is what Paul calls The Blessed Hope, "Looking for that blessed hope, and the glorious appearing of the great God and our Saviour, Jesus Christ." (Titus 2:13). 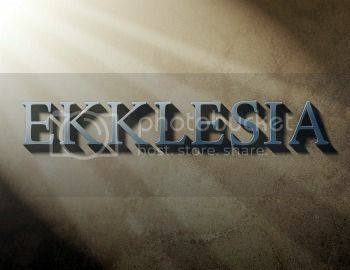 However 2 Tessalonians 2:10-12 says, "because they received not the love of the truth, that they might be saved. And for this cause God shall send them strong delusion, that they should believe a lie: That they all might be damned who believed not the truth, but had pleasure in unrighteousness." This is part 10, the conclusion, of our video series on The Rapture: The Blessed Hope of the Child of God. The Firmament is NOT a Dome. The term "firmament" and its identity has been one of the greatest puzzles concerning the Biblical Creation account. "And God said, Let there be a firmament in the midst of the waters, and let it divide the waters from the waters. 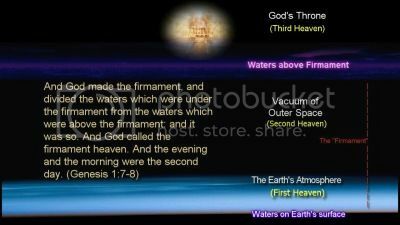 And God made the firmament..." Genesis 1:6-7 On the second day of the creation, the Lord God "divided" the waters (plural) of the great "deep" into two parts with a "firmament" in the midst. According to Genesis 1:10, both the waters that were upon the face of the Earth and the waters which He placed ABOVE the firmament He called "Seas". 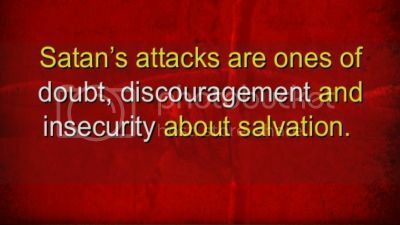 Satan causes many unsaved religious people to feel that they are perfectly safe and that all is well with their souls; while on the other hand he brings doubt and fear into the minds and hearts of many true believers who are really saved, but who are untaught in the Word of God. Many such believers when asked the direct question, Are you a Christian? or Are you saved? reply..."I believe so...I think I am, or, I hope to be saved when I die." Upon BELIEVING, (which means to accept as true, particularly with absolute certainty), the Record that God hath given concerning His Son, "that Christ died for our sins according to the scriptures; And that he was buried, and that he rose again the third day according to the scriptures" 1 Corinthians 15:3-4, The sinner is saved by the power of God through The Faith; and receiving the salvation, he becomes a Christian. Now, the Christian is kept by the same power; by the same God; through the same Faith. Let us refer to three verses in the Epistle to the Romans and emphasize the expression “much more”...“But God commendeth his love toward us, in that while we were yet sinners Christ died for us. MUCH MORE then, being now justified by His blood, we shall be saved from wrath through Him. For if, when we were enemies, we were reconciled to God by the death of His Son, MUCH MORE, being reconciled, we shall be saved by His life” Romans 5:8-20. "We must all appear before the Judgment Seat of Christ; that every one may receive the things done in his body, according to that he hath done, whether it be good or bad. 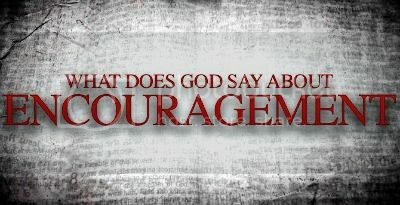 Knowing therefore the terror of the Lord, we persuade men" 2 Corinthians 5:10-11. How I blocked Him here and checked Him there And I would not yield my will, Shall I see grief in my Savior's eyes; Grief though He loves me still? Oh, He'd have me rich, and I stand there poor, Stripped of all but His grace, While my memory runs like a hunted thing Down the paths I can't retrace. Then my desolate heart will well-nigh break With tears that I cannot shed. I'll cover my face with my empty hands And bow my uncrowned head. No! Lord of the years that are left to me I yield them to Thy hand. Take me, make me, mold me To the pattern Thou hast planned. "be STRONG in the Lord, and in the POWER of His MIGHT." "Blessed be God, even the Father of our Lord Jesus Christ, the Father of mercies, and the God of all comfort; Who comforteth us in all our tribulation, that we may be able to comfort them which are in any trouble, by the comfort wherewith we ourselves are comforted of God. For as the sufferings of Christ abound in us, so our consolation also aboundeth by Christ." 2 Corinthians 1:3-5. "Now unto Him that is able to do exceeding abundantly above ALL that we ask or think, according to the Power that worketh in us, Unto Him be glory in the church by Christ Jesus throughout all ages, world without end. Amen." Ephesians 3:20-21. Mark well, this is not an interested inquiry, but a challenge, meant to prove that resurrection is impossible, and the Apostle Paul answers it this way, "Thou fool, that which thou sowest is not quickened except it die"
What a devastating reply! We are surrounded by overwhelming evidence that resurrection from the dead is a fact. 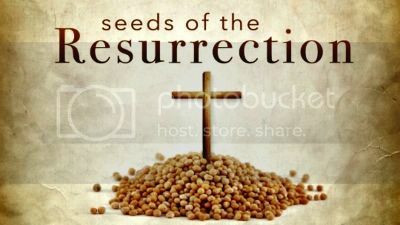 Every blade of grass, every ear of corn, every beautiful flower bears witness to the fact of resurrection from the dead. 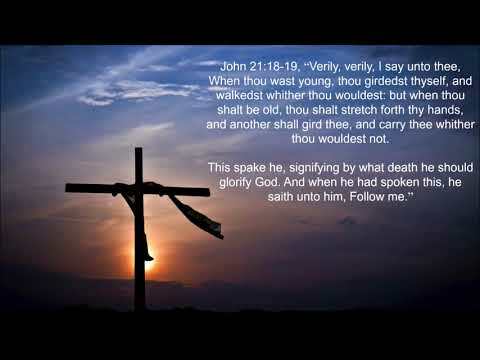 Yes, Christ is alive from the dead, and, "able to save them to the uttermost that come unto God by Him" Hebrews 7:25. Satan hates Grace. Satan can't fight Grace. Satan can trip people up all day in Religion. Trying to follow The Law...Satan can work with that. Can't work with Grace though. Satan has worked hard through the centuries, to try and get Grace brought under the Law. Satan started immediately attacking the message of Grace from the Holy Spirit through the Apostle Paul. We see THAT with the Galatians. 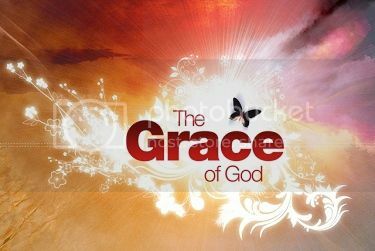 But the Spirit tells us through Paul in Romans 11:6..."And if by grace, then is it no more of works: otherwise grace is no more grace. But if it be of works, then it is no more grace: otherwise work is no more work." There are many church buildings and church organizations on this earth. Many of the people, who are members of the different church organizations, are also members of God’s Church. About 2000 years ago the Apostle Paul instructed the spiritual leaders of Ephesus, “Feed the CHURCH OF GOD, WHICH HE HATH PURCHASED WITH HIS OWN BLOOD.” (Acts 20:28 ). Very interesting is this statement concerning God’s Church. Since the day that Paul spoke to those elders many members of God’s Church have departed to be with Christ. (Philippians 1:23). Concerning the Apostles Peter and John, we read in Acts 4:23, “And being let go they went to their own company.” This word “company” suggests their own private group. In 1 Corinthians 14:23 we read of the church coming together. So every member of God’s Church should be identified with other such members of like precious faith and should have a regular meeting-place or assembly. 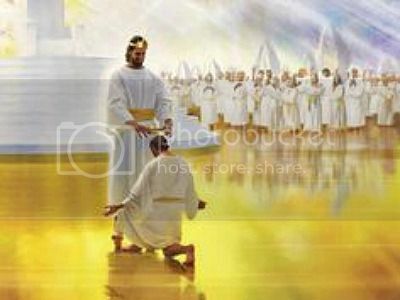 But every member of God’s Church, in the matter of “church membership” should faithfully obey 2 Cor. 6:14, “be not unequally yoked together with unbelievers.” And every member of God’s Church should faithfully obey Ephesians 6:18, and pray with all perseverance and supplication for all saints. In Hebrews 10:10 and Hebrews 13:12 we are told how sinners became saints, “By the which will we are sanctified through the offering of the body of Jesus Christ.” AND, “Wherefore Jesus also, that He might SANCTIFY the people with His own blood, suffered without the gate.” Then note 1 Corinthians 6:9-11 , how God makes living saints out of dead sinners, how God justifies and sanctifies believing murderers, drunkards, thieves, adulterers, which is the very same in the case of the believing self-righteous, moral, religious person. “Such were some of you; but ye are washed; but ye are SANCTIFIED; but ye are justified in the Name of the LORD Jesus and by the Spirit of our God.” In Titus 3:5-8 this is called “by the washing of regeneration,” which God bestows.